Windows Movie Maker is a free video editing program that allows users to create, edit & share videos. As of 2019, however, the download source has changed. This website shows you how to complete your Windows Movie Maker download from an archived source. 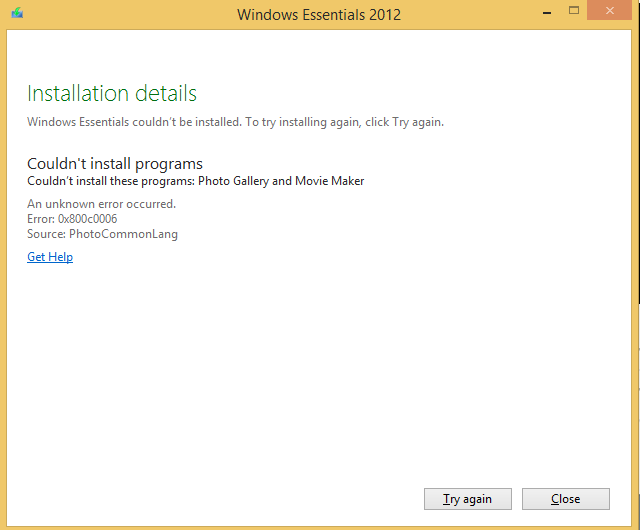 Windows Movie Maker is a part of the Windows Live Essentials software package, but has been discontinued as of January 2017 and is no longer available for download from the Microsoft website. Luckily, we have saved the links to the archived files for you, and all you have to do is choose your language and you will be linked to the Windows Movie Maker download URL. Is Windows Movie Maker free? Is Windows Movie Maker any good? Where can I download Windows Movie Maker? How do I get Windows Movie Maker on Windows 10? Operating system 32- or 64-bit version of Windows 7, or 32- or 64-bit version of Windows 8, or 32- or 64-bit version of Windows 10, or Windows Server 2008 R2. Processor 1.6 GHz or higher with SSE2 support. SSE2 is supported on Pentium 4 processors or newer, and AMD K8 processors or newer. Internet connection Online services require dial-up or high-speed Internet access (provided separately—local or long-distance charges might apply). High-speed Internet access is recommended for some features. Graphics card Windows Movie Maker requires a graphics card that supports DirectX 9.0c or higher and Shader Model 2 or higher. For DirectX 9 hardware on Windows 7, go to Windows Update. The file is approximately 130 MB and will take several minutes to complete. Once downloading is complete, double click on the file called "wlsetup-all"
You will then see a prompt asking if you would like to allow the file to make changes to your device (i.e. install Windows Moive Maker and other Live Essentials software). Click Yes to proceed. The installation of Windows Live Essentials will commence. The first option during installation asks whether to install Windows Movie Maker only, or all of the Windows Live Essentials software package. This includes software like Messenger, Mail, Writer, OneDrive and the Outlook Connector Pack. If you choose to install Windows Movie Maker only, click on "Choose the programs you want to install" and select "Photo Gallery and Movie Maker"
Click on "Install" and your installer will install the files into your system. Once your installation is complete, you will see the following screen. Click close and you can now launch Windows Movie Maker! Look for the Windows Movie Maker icon in the start menu and start making movies! Is this download safe? Are there any viruses, malware, adware or spyware? This download is completely safe as it is the unaltered, original installation file that was released by Microsoft. The download button links to archive.org, which continues to host the original installation file that was released by Microsoft before it was discontinued. How can you be absolutely sure? After downloading the file, right click on the icon and click on properties. Go to the Digital Signatures tab and you will be able to verify that this file is indeed the original file released by the software publisher (i.e. Microsoft Corporation) and not altered by a third party. Click into the details tab and you will see additional information confirming that the publisher is indeed Microsoft Corporation. If you find any files that do not show Microsoft as the publisher, DO NOT INSTALL the file as it is not the original. Your download should begin shortly, but can take up to 60 seconds to initiate. Please be patient. Click here to try again. How was the download? Were you able to install the program successfully? Let us know in the comments below! Need professional lighting for your film & photography project? Check out Waveform Lighting! When I try to download the program, it gives me an unknown error. Is there a fix to it? Downloaded ok but can't find the .exe file. When my Movie Maker in the original package came as part of the computer base files...... ("C:\Program Files (x86)\Windows Live\Photo Gallery") it is still in there but has messed up graphics and strange multi-video when I try to open a video file......and also my Photo Gallery has change the start screen whenever I try to open picture slide process.....so do just try to put Movie Maker back from another computer that is showing it properly or do I delete Movie Maker from the Photo Gallery file and then what......very confusing.....if I take the download ....where will it put the "new" Movie Maker? ..I will it go Photo Gallery and try to replace? VERY LEGIT! i promise… i was skeptical at first but it actually works. i actually don't know how to use any other movie making software so i need this to make clips of me gaming on steam. Hi, I downloaded the trial and then registered and paid the lisence fee in order to export the final video. I received confirmation mail with ref etc to complete the registration, which was successful. Now when I export the final video I get a error message....sorry save export data failed?? When I click close the window to exit or register opens? Anyone encountered this. I have a lisence know and still no happiness. This is quite urgent....I mail the support team but still awaits feedback and support. Great, thank you for the wlsetup-all.exe the wlsetup-web.exe doesn't work anymore. I can attest that this still works to install Windows Movie Maker on Windows 10 version 1803 (x64). Scanned with Malwarebytes and 100% clean. How do you ad music to your videos. I was able to do that easily with the old version. And how do you stop it from loading all your photos at once. THANK YOU VERY MUCH SIR !!! I AGREE WITH Bradley Culter !!! Bless you! I hope I can do something as generous to others someday soon. Thank the Gods! I have tried so many and they are all to "big" for my purposes. Thank you a million times. Moivemaker is Free license ? I downloaded and installed the Windows Photo Gallery and Windows Movie Maker. However, there is no ,Start program icon for Windows Movie Maker , nor is there any reference to Windows Movie Maker when I do a search. Where is it?????? Well, it refuses to work on my computer and i'd like to be able to obtain the WIndows Movie Maker files alone themselves. If anyone could give me a Mediafire or MEGA link, that would be really appreciated. Maybe (likely) I haven't figured it out but it seems there are limitations. It cannot overlay a second audio section or fade video into another segment. The "old" windows movie maker could do miracles. It was working several days ago. Now it says error need previous installation required & restart computer. I was able to get the file from another source and it has worked now! I'm so happy to be able to have this program on my new computer! Still not working for me even after I tried Microsoft Edge. Nothing at all happens when I click the download button. I have clicked on the red download button and the "here" link to try again--over and over and over. I tried on three different Chrome browser profiles. I rebooted my computer. All to no avail. I'll try Microsoft Edge and see if that works. thanks a lots it is wonderful, it is working. Many, many thanks, worked great!!! Thank you. Lots of sites offering a trial period with limited capabilities and then want $$. Good for you! Mucho gracias! I am so thrilled with this and can't thank you enough for putting it out there. Installed nicely, no bugs or anything unwanted - nice and clean. You are a lifesaver !!! It's nice that someone has made it easy to access the archived copies of the installers in multiple languages from archive.org especially since it is hard to find links to these otherwise. This is the only link on the whole internet that works. I downloaded it a few months ago and was thrilled to use this program again without issue. Had to refresh the OS yesterday and it got deleted but, I am really happy to know the link is still here. I do not know how you are able to keep it up since it appears that all others are trashed. Thank you so much. So far, so good! I appreciate you making this software available, I have used it for years and wanted to continue with it. Thanks a million gigabytes! Thanks for the information & being able to download. I have been using Movie Maker for years. Very pleased I was able to get it. Yes, I was able to download Window Movie Maker to my computer. I have done anything with it yet. I will came again to let you know my opinion soon. I love this application. Thank you for keeping it alive. jet paskinki and anja theyre best. My name is jef. Jety jet jet jety jet jet chet chety chet chet vasiljis and his wife aņa. I need to add subs. Is it offers this feature? Thanks so much! Perfectly working on Win 10 even in 2018, this is so great! Very nice and easy to install. I recommend it to beginners like myself. Thank you! Thank you! Had to reformat my laptop with only the latest install of Win 10 creator and my backed up version of essentials wouldn't install. I did not want to go through a video editor learning curve...I have been using Movie Maker for yeeeeeeeeaarrrs....again, can't thank you enough!! So far so good. Thanks so so much. Very much appreciated. how big is the file? I'm at 80 mb now? I want to thank you very much for doing the work to make this program available. I had used it in 2016 to make and edit a video of an informal talk I had given which I wanted to post on vimeo. Since I'm a video editing novice, I really needed something simple like this to do the task. It worked great. Then 2 months ago, I decided to upgrade my Windows 7 PC (an HP EliteBook 850 G1) boot drive to use an SSD in the M2 socket and was forced to reimage WIndows 7 from scratch because I couldn't shrink the 1T C: drive due to unmovable files! When I did that, I simply assumed I could reinstall all of my programs including Windows Essential (from my downloads folder). But I was wrong! The downloads folder contained the 'install from net' version of the Windows Essential software. 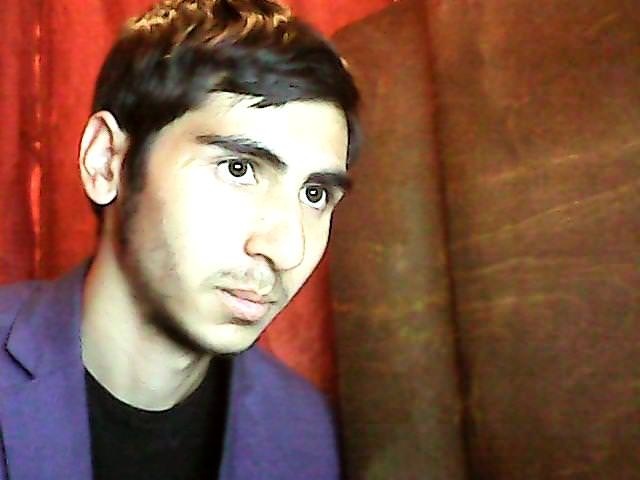 So I LOST my handy Movie Maker tool. Bummer. Well, today, I found your site and succeeded in restoring my lost and important (though infrequently used) tool. Bless you! I hope I can do something as generous to others someday soon.